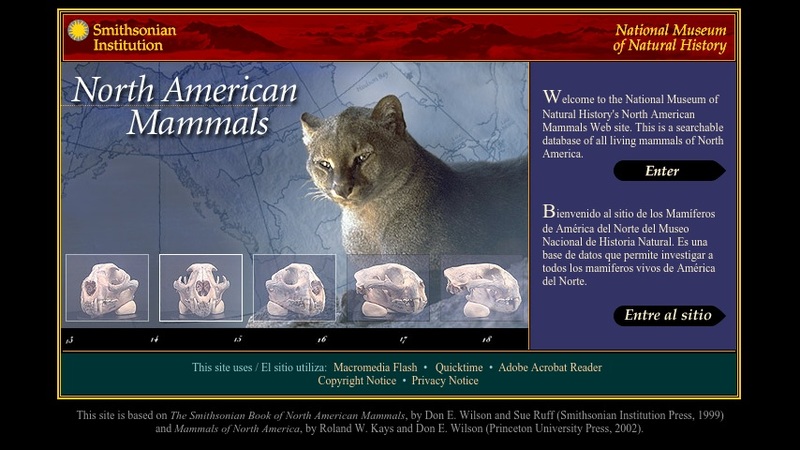 This database provides information on all living mammals of North America. The search creates a taxonomy (order, family, genus, and species) and accesses information on conservation status, distribution, other names for the animal, sexual dimorphism, and size and weight. There are also references, illustrations, sounds or calls, and links to additional information. Users also have the option of creating a downloadable, printable "field guide" that includes the information they have searched.